Whenever we buy products that are specifically designed to protect those who we love, it is only natural to feel anger and frustration when those items not only fail to perform their intended purposes but are the source of injury. Car seats are safety devices that are required by law in many states and the use of car seats has prevented numerous deaths and serious injuries. On the other hand, however, poorly written instructions, the sale of seats that do not meet the requirements or specifications of customers’ vehicles and product defects can all contribute to injuries that are catastrophic or fatal. If your child has been injured due to the failure of a car seat to provide the protection it was intended for, it is important to consider the following reasons that car seats fail in order to determine whether you may be entitled to compensation. The car seat and vehicle were incompatible. The tethers and lock points offered by different vehicle manufacturers for car seats vary and car seats are designed for specific makes and models now as a result. Retailers are required to help consumers make informed decisions and sell products that fit their specific needs. If the car seat you were sold was incompatible with your vehicle, you may have a claim against the retailer or the manufacturer if your vehicle information was never considered before recommending a product. The car seat was not inspected prior to sale. Manufacturers are required to perform quality control inspections of their products and retailers must also ensure that the products that reach their shelves are free of defect before placing them for sale. If you were sold a car seat with a defect that went unnoticed by both the manufacturer and retailer, both parties may share liability for injuries that have resulted from the car seat’s failure. The car seat was designed with a flaw or defect. Sometimes the cause of a car seat failure is simply the fact that the manufacturer cut corners during the design of the device or used materials of inferior quality. 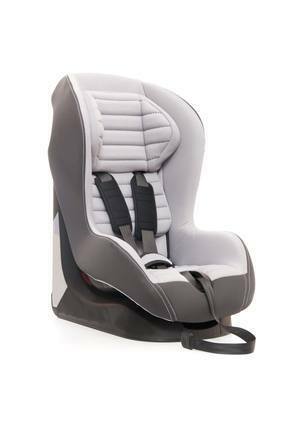 When this results in the failure of the car seat to protect your child, the manufacturer can be held accountable. The car seat lacked proper warnings or instructions. If the cause of your child’s injuries were the result of improper use or installation of the seat, you may have a claim if the instructions were inadequate or lacked warnings that may have influenced how you installed or used the seat. Your child was too old or young for the car seat. One of the most important questions that must be addressed when purchasing a car seat is whether the seat is designed for the age group your child belongs to. When seats designed for the wrong age group are purchased, it can result in the failure of the car seat to provide protection and may even be the cause of injuries to the child when he or she is placed in a seat that is wrong for him or her. The Rosenfeld Injury Lawyers LLC understand that if your child has been injured in a car accident that you have a lot on your plate at the moment. You want to protect the interests of your child and ensure that he or she receives the best care possible for his or her injuries. We want to help you through this difficult time by helping you access the medical professionals that will best promote your child’s recovery and to secure the compensation you are entitled to for the reimbursement of costs associated with your child’s medical care. Contact us today to schedule a free consultation with one of our experienced and qualified attorneys to learn about your legal rights and options and to begin the process of investigating your case further in order to determine the best course of action. Our track record of success handling similar cases speaks for itself and we require no upfront payment in order to retain our services or representation. We will only receive payment once we have been able to successfully win your case or negotiate a settlement on your behalf.